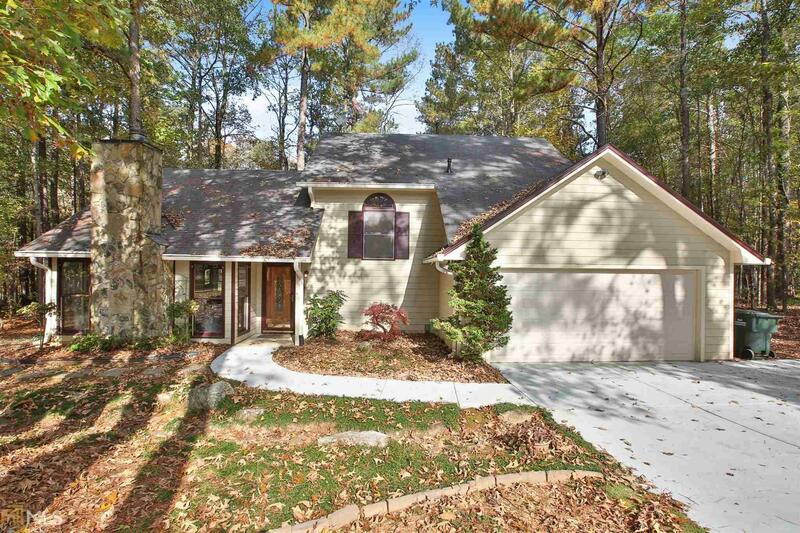 Rare Master On Main with huge suite situated on private cul de sac with huge wooded back yard. This home has fresh paint, smooth exiling she and back deck designed for privacy right down the street from Oak Grove elementary and short cart ride to 3 ponds and Braelinn shopping center. Master suite includes handicapped access bedroom and bath, two walk in closets, walk out to secluded back yard. New driveway, fresh paint, smooth ceilings, three bedrooms up, bonus makes 4th bedroom. The under sink cabinets to be installed. Directions: South On Peachtree Pkwy, Left On Crosstown, Right On Log House Road, Right On Rockspray Ridge, Right On Primrose Path, Home Straight Ahead In Cul De Sac.